Yesterday, as I’m sure you know, was St Patrick’s Day. Maybe you spent the day nursing a couple of pints of Guinness, maybe you let the Irish holiday pass without comment. Or maybe, you spent it in the company of some of the greatest authors Ireland has to offer. Just because St Paddy’s Day is over for another year doesn’t mean that you can’t celebrate gloriously good Irish writing every day. Here are just some of many incredible authors from the Emerald Isle whose work speaks to our time with wit, compassion, and sincerity. Irish expatriate Dervla McTiernan stunned readers last year with her crime debut The Ruin, a cold case mystery set in Galway about two neglected children and their dead mother. That novel’s protagonist, Detective Cormac Reilly, returns this year in The Scholar, a gripping novel that sees Reilly investigating the murder of a promising pharmaceutical student, with consequences that run deep. 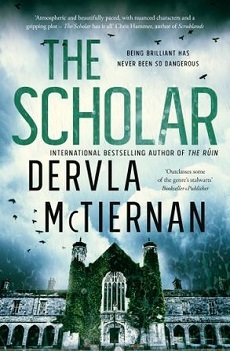 The Scholar is every bit as compelling as its predecessor, heralding the rise of a fantastic talent in crime writing. 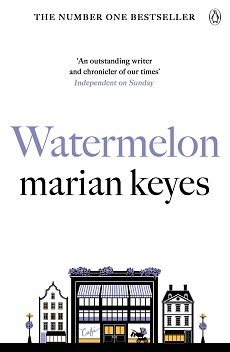 As a kid, I was notorious for stealing my mum’s “grown-up” books and reading them in secret, which is how I found and fell in love with Watermelon. This is a charming book about a new mum, Claire, who flees London to her parents’ house in Dublin after discovering that her husband has been cheating on her. Hilarious, honest, and heart-warming, this book literally had me laughing out loud, and is one I’ll always go back to. This book is both a critical darling and a novel beloved by readers, and for good reason. 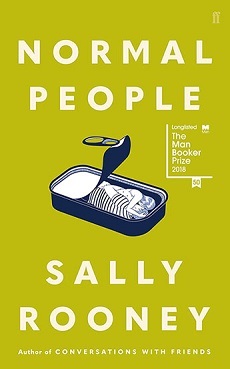 It’s a beautiful and complex novel that our reviewer, Ben Hunter, called “a profound statement on the inextricable imprint we leave on one another” and “one of the best romances in literature written this century to date.” Don’t be put off by the hype on this one – Rooney is one of the finest living authors, period. There isn’t much to say that hasn’t already been said of the genius of James Joyce. The author of modernist masterpieces like Ulysses, Joyce’s unique command of language has been astounding his readers for decades, paving the way for a tradition of experimentation that is still felt in Irish literature today. 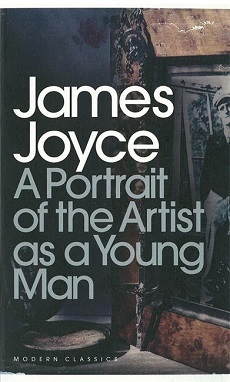 Written in a colourful, stream-of-consciousness style that brilliantly captures the emotional and intellectual development of a young creative, A Portrait of the Artist as a Young Man, is an ideal place to start if you’re new to the literary wonders of James Joyce. A writer of the Irish modernist scene working in Britain, Elizabeth Bowen’s wonderful novels portray the turbulence of the war years with piercing clarity and compassion. 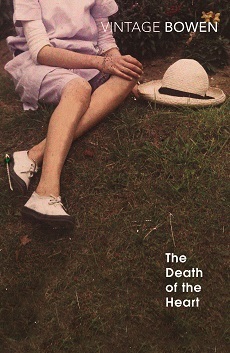 The Death of the Heart is one of my personal favourites for its depiction of Portia, a vulnerable sixteen-year-old girl who comes to live with her step-brother in London after the recent death of her mother, and who falls disastrously in love with an older man. Fans of Virginia Woolf will appreciate Bowen’s introspective style for the way it perfectly portrays the acute misery of a young woman adrift in an unsettled world – the novel’s closing scene still lingers in my mind. 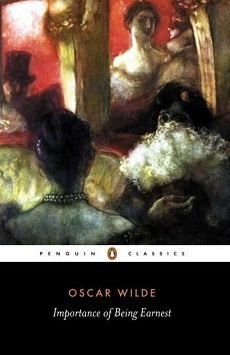 Was there ever anyone as clever and witty as Oscar Wilde in all the history of literature? Wilde himself would probably say that there was not, and after reading The Importance of Being Earnest, you might be inclined to agree with him. 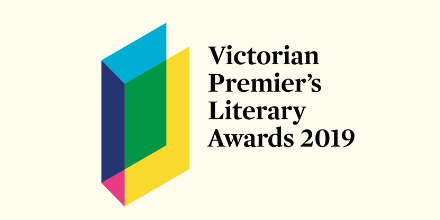 This play about a group of people maintaining alternate personas in order to avoid unwanted social engagements is uniquely hilarious, full of quick banter that effortlessly skewers the Victorian social scene. The Importance of Being Earnest shows Wilde at his best. 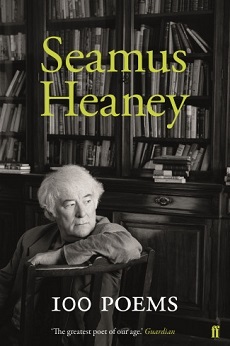 Seamus Heaney is perhaps one of the most beloved poets in English literature. Winner of the 1995 Nobel Prize in Literature, Heaney was responsible for writing such beautiful poems as “Death of a Naturalist” and “Blackberry-Picking’ (“You ate that first one and its flesh was sweet / Like thickened wine: summer’s blood was in it / Leaving stains upon the tongue and lust for picking”). 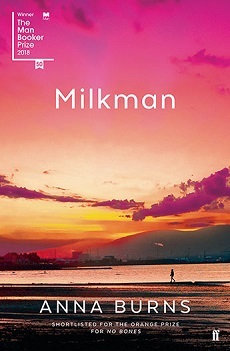 This selection of 100 poems shows the poet at his best, and is definitely worth picking up if you are yet to discover him. There are so many wonderful Irish authors to love and discover – if you have a favourite, sound off in the comments below! Good choices Olivia, but disappointed you haven’t managed to include anything from Sebastian Barry. Days Without End, at least.